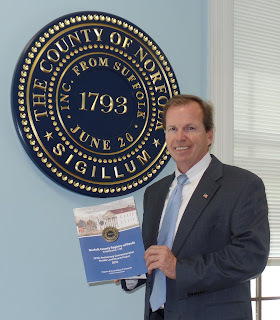 Norfolk County Register of Deeds William P. O'Donnell today reminded county homeowners of a free on-line Consumer Notification Service offered by the Registry of Deeds to protect county property owners against fraud. "The Federal Bureau of Investigation, (F.B.I. )," noted Register O'Donnell, "continues to assign resources to combat property/deed and mortgage fraud. Many jurisdictions across the country have reported unscrupulous individuals recording fraudulent land documents making it appear they own another person's home or property. Fortunately, we have not seen this type of crime take place in Norfolk County. My intent here is not to upset county property owners but to make sure my office is out front vigorously protecting consumers." Any owner of real property in the twenty-eight communities comprising Norfolk County can join the more than 925 homeowners already utilizing the service by signing up for the Consumer Notification Service free of charge by doing the following: Go to the Registry's website www.norfolkdeeds.org and click on the Consumer Notification Service Get Consumer "Alerts" button to complete the initial registration. From there, follow the remaining sign-up instructions. Once you have signed up for the service, each subscriber will be able to input two names, individual or business, and the corresponding city or town in Norfolk County for monitoring. They can monitor their real estate records for such activities as changes in deeds, mortgages, mortgage discharges, non-mortgage liens, Homesteads or other land documents that might be recorded against the property. O'Donnell stated, "The process to sign-up for the service is user friendly and will only take a few minutes. This free program will not prevent the fraud, but it will allow residents to find out about it quickly." If a document is recorded against one of the names inputted for monitoring, the subscriber will be alerted via email, usually within 24 hours. The person can check the Registry's on-line land research records at www.norfolkdeeds.org as an option. If a subscriber believes a fraudulent land record has been recorded against their property, they should immediately contact the Norfolk County Registry of Deeds Customer Service Center at (781) 461-6101. After talking with a Registry employee, the subscriber will be given a list of public safety referrals by the Registry. 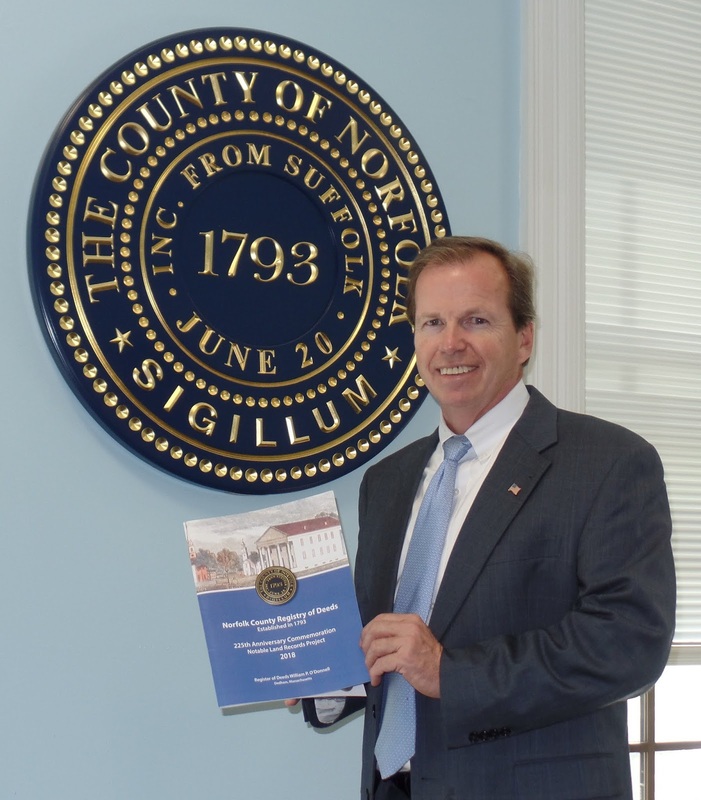 Register O'Donnell concluded, "As Norfolk County Register of Deeds, I am focused on our core mission which is to record land documents in a secure, accurate and accessible manner. I also want to be proactive in taking any and all steps at our disposal to minimize the potential for fraudulent activity related to land document recordings. The Registry's Consumer Notification Service provides a level of protection to the program's subscribers against dishonest individuals who would attempt to commit real estate or land document fraud. After all, the biggest asset most of us have is our home. I urge people to sign up for this program."